Myra Brown was just 8 years old when she says she first realized she wanted to help and serve others. Brown, 51, has had several spiritual callings in her life, she says. And on Saturday, Brown, a deacon at Spiritus Christi, became the third African-American woman in the US to be ordained as a Catholic priest. A packed Spiritus Christi was the setting for the ceremony, which included the laying on of hands for the invocation of the Holy Spirit. The Rev. 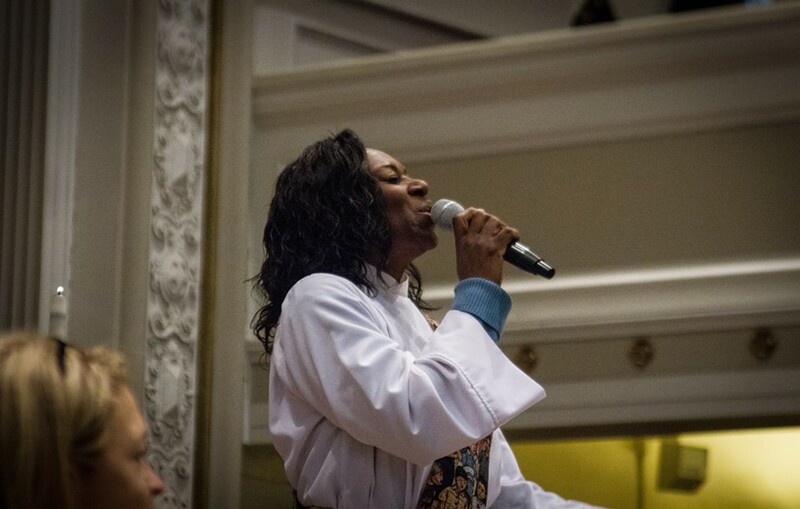 Myra Brown sings at her ordination ceremony. Spiritus Christi is an independent Catholic Church and is not recognized by the Vatican. And the Vatican doesn’t recognize ordaining women into the priesthood either, but that doesn’t dissuade Brown. Brown says the Vatican is well-aware of the history of women serving as priests in the Catholic Church. “The whole Jesus movement started with the angel going to Mary, a woman,” Brown says. Despite a steady wave of support for women priests, the Vatican has stood firmly against it over the years, sometimes offering vague rationale: the apostles were men, the church lacks the authority to make such decisions, and men make better interpreters of God’s will. Even Pope Francis has bluntly rejected the idea. And the church has disciplined some male priests who have openly supported the concept. Father Roy Bourgeois was dismissed in 2012 from the Maryknolls Fathers and Brothers and the priesthood. Brown is a longtime community activist, youth minister, and anti-racism advocate in the Rochester area. She’s beginning her doctorate at Colgate Rochester Crozer Divinity School.